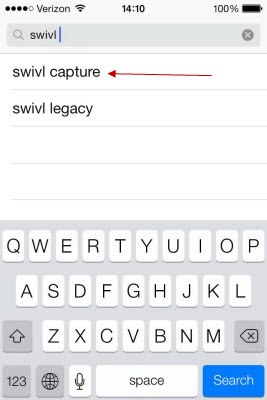 Instructions for setting up and using your iPhone, iPad, or iPod touch with the Swivl after initial setup. 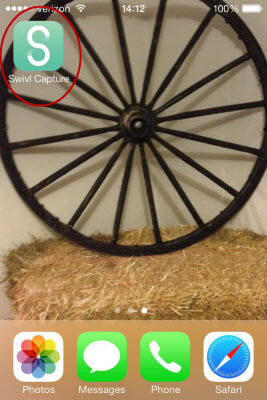 Step 1:Open the device to the App Store and search for "Swivl Capture". 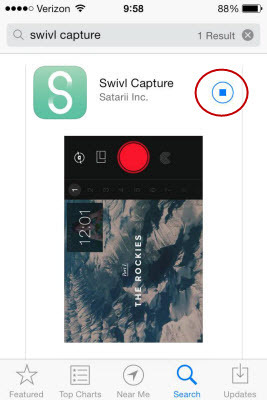 Step 4:Once the app is open, a screen requesting access to the device's microphone will appear. Click OK. 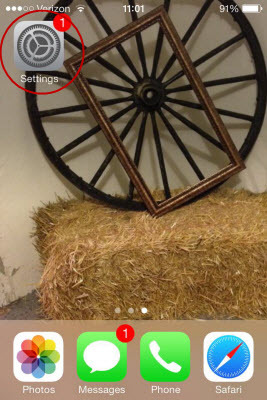 Step 1:Open the Settings on your iOS Device. 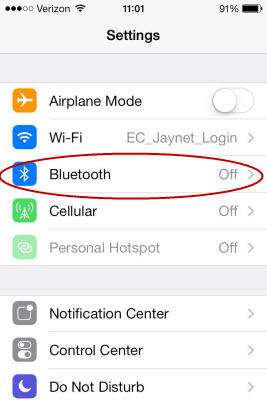 Step 2:Open the Bluetooth settings on the iOS device. Step 3:Click the On/Off button to turn on Bluetooth. Step 4:Wait for Swivl to appear in the options (this may take a few minutes) and click Swivl. Step 5:Wait for the screen to read "Connected". 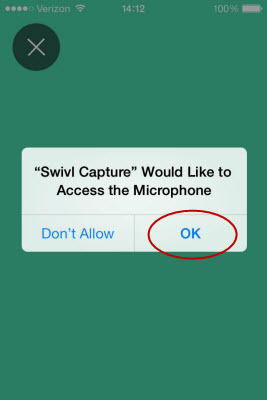 Once it says that Swivl is connected, you will be asked to allow communication between the Swivl app and the device. Click Allow. Your bluetooth connection has been established and the marker buttons will function. The device is now ready to record. See Recording Lectures for instructions on how to record.